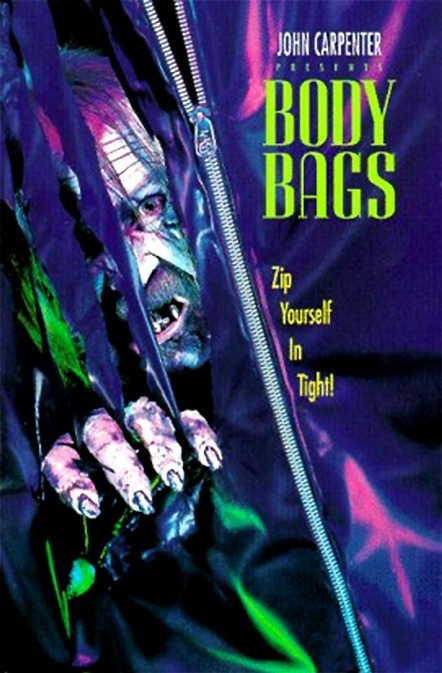 BODY BAGS: A Quick One While The Crypt Keeper’s Not Looking – Schlockmania! Sometimes filmmakers make movies because they have a vision that they have to share with the world – and sometimes they make movies to stay in the game, to get a bit of practice and maintain visibility in the marketplace between bigger gigs. Body Bags is the latter kind of movie. John Carpenter spearheaded this made for cable horror anthology between bigger theatrical film gigs, also bringing in Tobe Hooper to helm one of the three segments. The results offer a simple, straightforward romp through familiar horror territory. The Gas Station: Carpenter revisits the slasher flick territory he pioneered with Halloween in this tale of a new night-shift cashier (Alex Datcher) undertaking her first night of work at the title location. She finds herself dealing with a variety of odd types, one of whom happens to be a homicidal lunatic. It’s a slim premise but Carpenter keeps it afloat with plentiful guest stars – Robert Carradine, David Naughton, Wes Craven, Sam Raimi, etc. – and handles the shocks with a pro’s confidence. It’s worth noting that the end is a little bloodier than usual for the director. Hair: the best story of the trio is also helmed by Carpenter, this time in a satirical, quasi-sci-fi mode. The hero is a well-to-do man (Stacy Keach) who is consumed by the fact that he’s losing his hair. He tries out a new cure advertised on t.v. by a slick doctor (David Warner) and gets a lush new mane of hair. Of course, it comes with a terrible price. The setup is spartan but played well: Keach gives a fantastic comic performance as the embodiment of middle-age male insecurity and the sting-in-the-tail ending is clever. Eye: Hooper helms the final segment, a truly grim piece of work in which a baseball player (Mark Hamill) who loses an eye in a car accident undergoes an experimental eye transplant surgery. It works but he starts to see visions of awful violence from the eye’s original source that put his wife (Twiggy) in mortal danger. Despite a few fun guest stars – Roger Corman and John Agar as doctors! – this is a brutal affair. Hooper brings the grue, including enough ocular violence to make Lucio Fulci grin, and is abetted by a sweaty, intense performance from Hamill. The results aren’t subtle but they hit pretty hard. All in all, Body Bags is modest but enjoyable stuff. 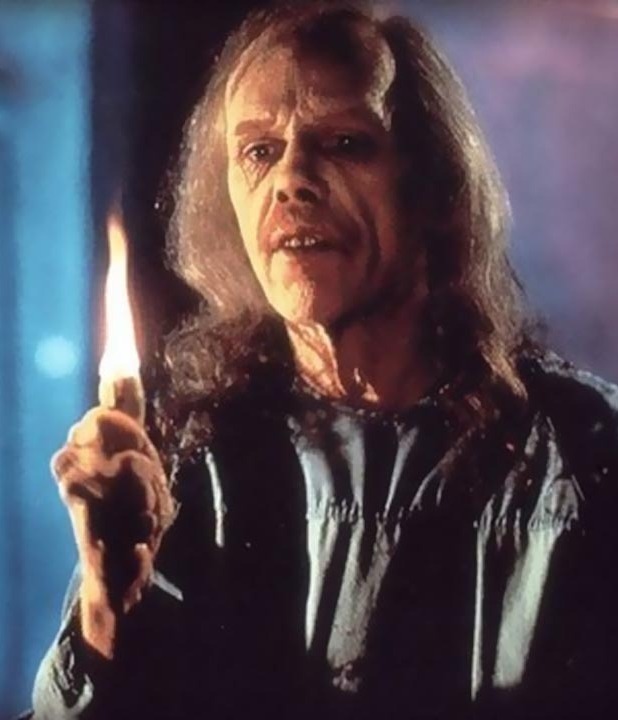 It’s very derivative of Tales From The Crypt and the stories themselves are mostly formulaic – but the craft of the filmmakers involved and the plentiful guest stars make it easy to watch. Keep your expectations in check and you’ll discover it’s a little more fun than you might expect.